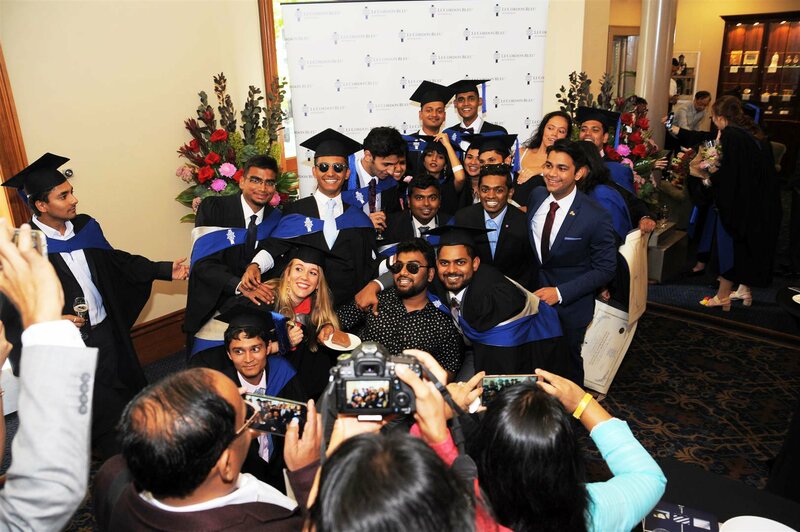 Le Cordon Bleu celebrated 215 graduating students in Sydney, Adelaide and Melbourne at individual ceremonies during February. Twenty-one talented students received awards for outstanding achievement. 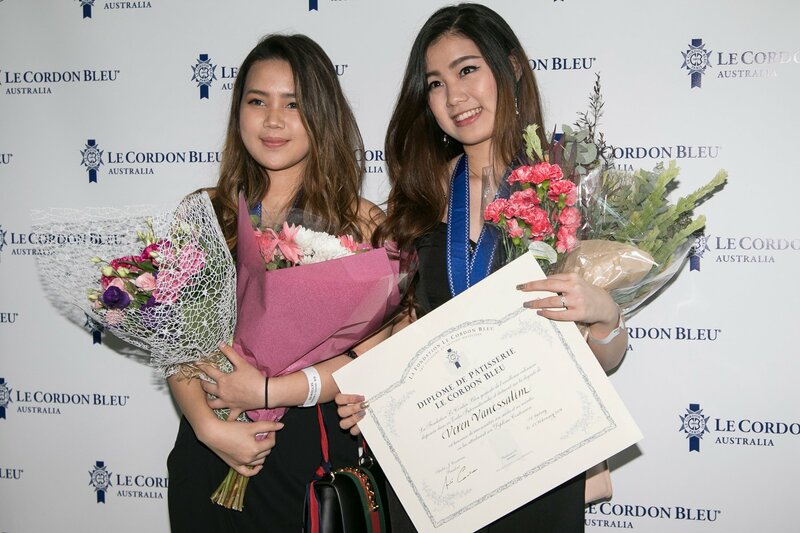 Le Cordon Bleu celebrated the success of Sydney’s graduating students in style at the International Convention Centre in February. 100 students graduated from Culinary and Bachelor’s programmes (Semester 2, 2017) with 7 students awarded for outstanding achievement. 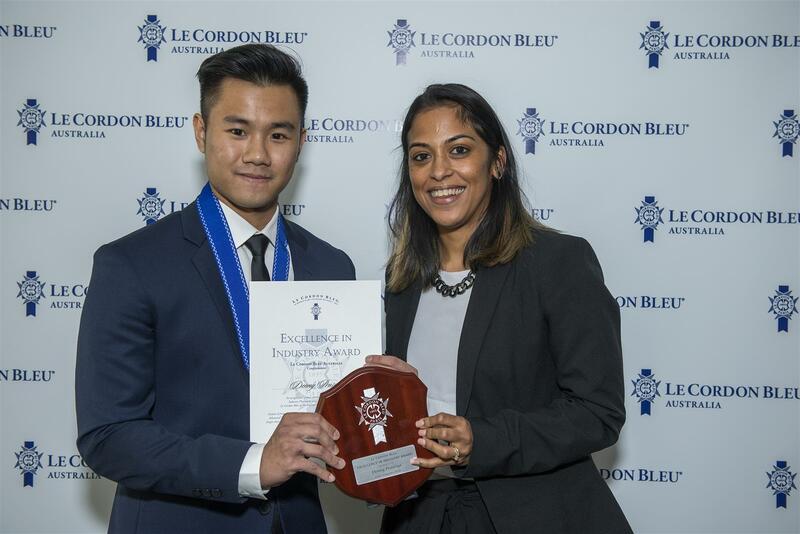 Master of Ceremonies, Mr Michel Peters introduced industry guest speaker Le Cordon Bleu Adelaide alumnus Shawn Yeo (Restaurant Duty Manager at Sydney Olympic Park) who spoke eloquently about lifelong learning. We need to be open and willing to always keep learning, the moment we tell ourselves there is nothing to learn we stagnate. 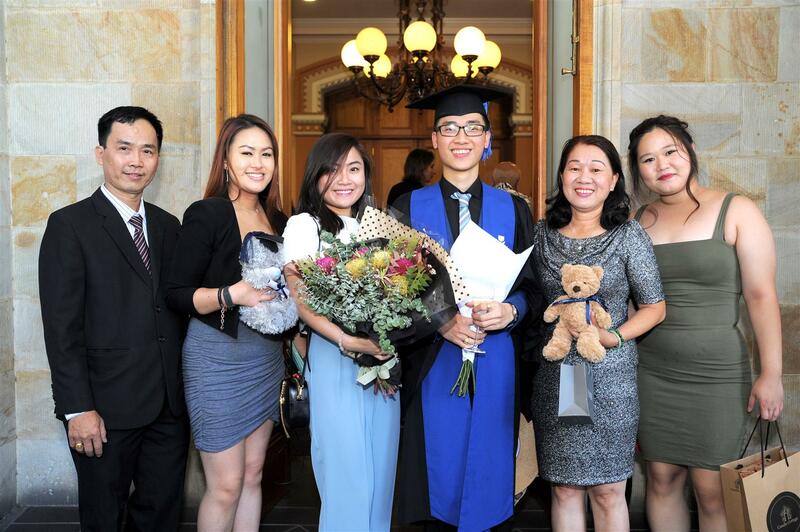 In March, Le Cordon Bleu celebrated the success of graduating students at Adelaide Town Hall. 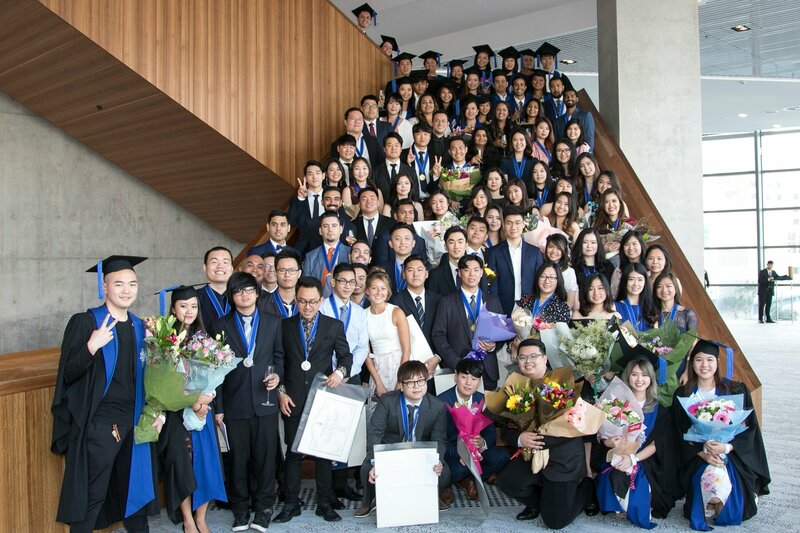 Ninety-two students from Culinary, Bachelor’s, and Master’s programmes received parchments at the formal cocktail event, with nine students awarded for outstanding achievement. Industry guest speaker Le Cordon Bleu alumna Jessica Superina (People Services Business Advisor at City of Adelaide) praised the advantages of a Le Cordon Bleu degree. These qualifications are globally recognised and provide a huge advantage in entering a global industry. Your opportunities at this point are endless, to travel, meet fabulous people, gain new skills and grow your career. 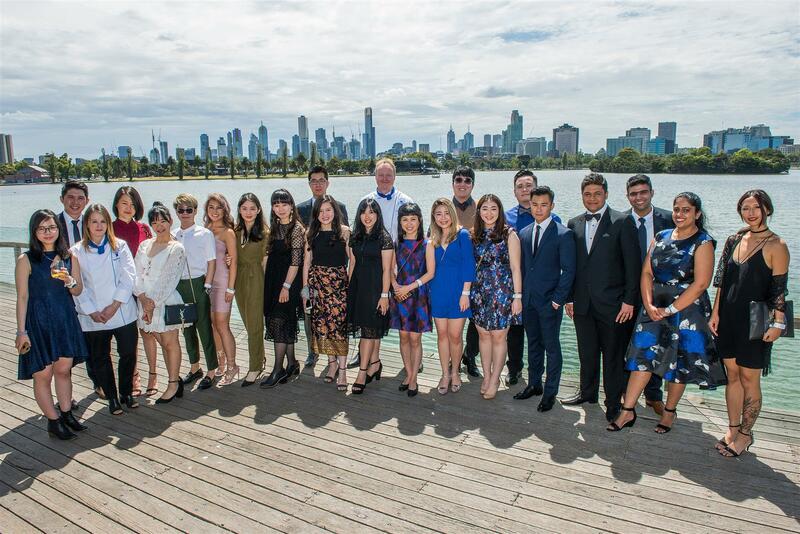 In February, Le Cordon Bleu Melbourne celebrated the success of its graduating students at a formal function held at Carousel. Twenty-three graduating students from culinary programmes received their official parchments, with 5 awards for exceptional achievement. Master of Ceremonies, Mr Ken de Mallindine introduced industry guest speaker alumna Matilda Smith (Pâtisserie Owner, Penny for Pound) who reflected postively on her Le Cordon Bleu experience. Le Cordon Bleu provided me with a great foundation in all areas of patisserie, we had some of the best teachers in the world, and from what I have seen today, nothing has changed.